After nearly 20 years, it’s time for me to leave NASA and do something radically different—help Planet Labs develop world-class satellite imagery. OK, not that radically different. 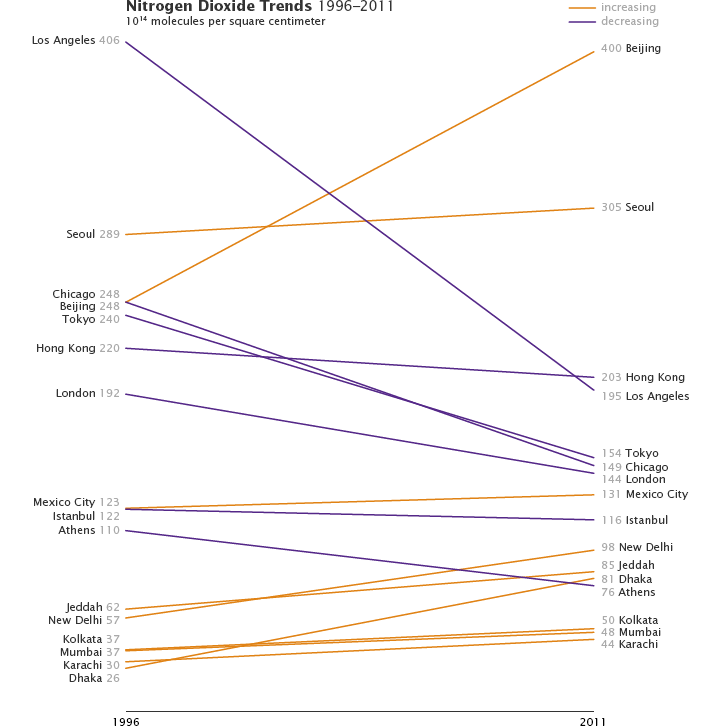 In any case, now is as good a time as ever to point to some of my favorite visualizations. 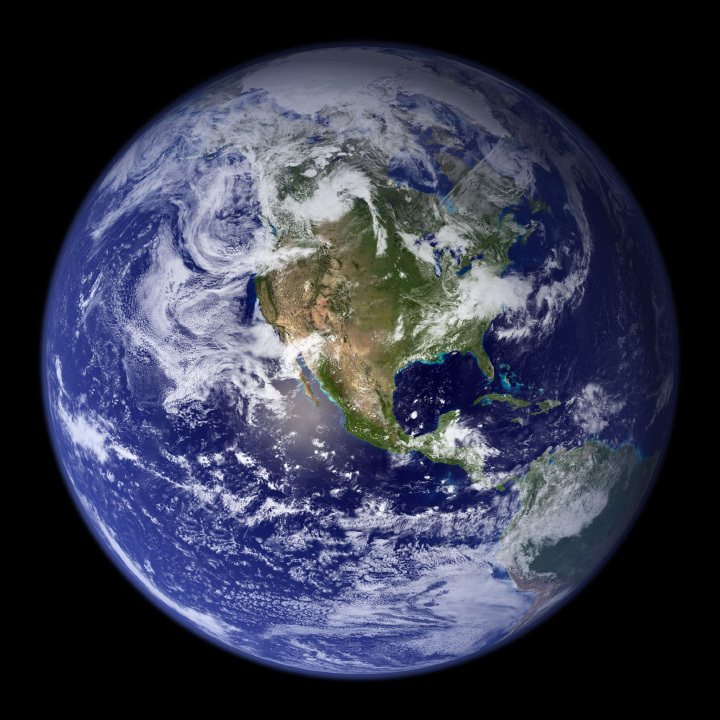 If you’d like like to get in touch with me, drop me a note on Twitter (@rsimmon) or contact the Earth Observatory team—they’ll know where I am. Thanks to everyone on the Earth Observatory team that I’ve worked with over the years. Among them: David Herring, Kevin Ward, Mike Carlowicz, Paul Przyborski, Rebecca Lindsey, Holli Riebeek, Adam Voiland, Jesse Allen, Reto Stöckli, Goran Halusa, and John Weier. 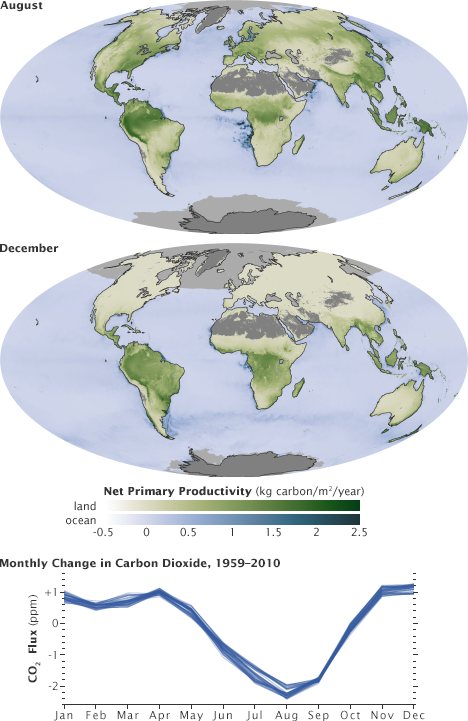 Although these two datasets show the exact same property (net primary productivity, a measure of the amount of carbon the biosphere draws out of the atmosphere) they’re measured in different ways, and deserve to be differentiated. By using palettes with different hues but an identical range of lightness and saturation, they are directly comparable but remain distinct from one another. Shortly after launch, Landsat 8 collected what was probably the single largest satellite image ever made. 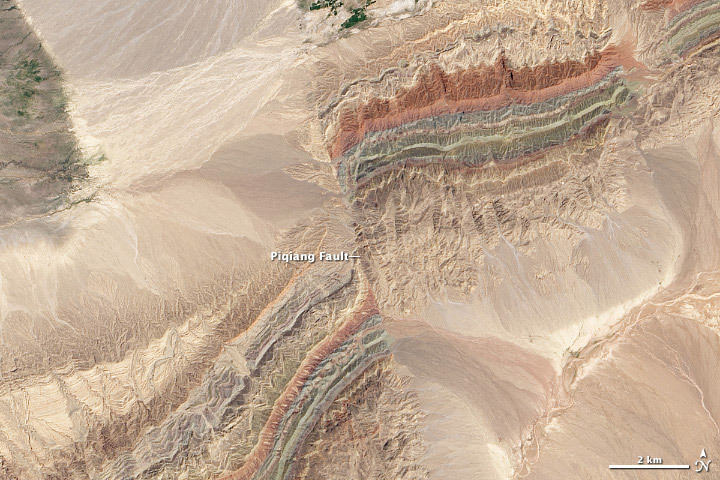 Roughly 12,000 pixels wide by 600,000 pixels tall the image combined 56 individual Landsat scenes into a single strip from Siberia to South Africa. 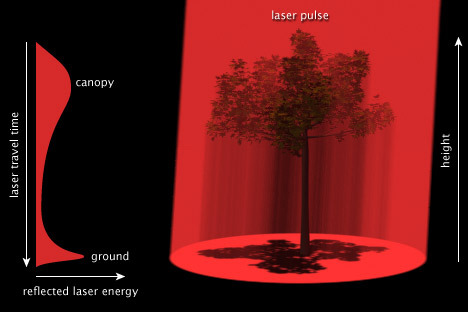 Back when I used to be competent at 3D, I made this illustration showing how a pulse of laser light can measure the structure of a forest canopy. It may just be that I’m enamored with Alberto Cairo, but I’m growing increasingly fond of slope graphs. They occasionally tell stories more clearly than more conventional graph types. I’ve probably worked on more than 1,000 Landsat images over the course of my career. This scene of offset folds in Xinjian China is the best. 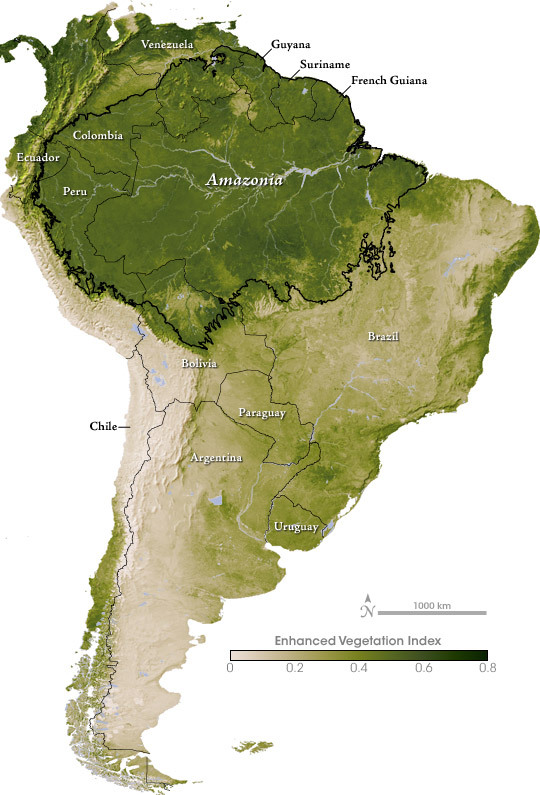 I think this map of vegetation in South America was the first original color palette I really got right. For some reason the color and contrast work better in this version (originally published in 2000 to accompany the story Bright Lights, Big City) than any of my attempted remakes. This includes the 2012 Black Marble, which was made with much better data. Finally: Thanks to the NASA family, and to all of you who’ve expressed appreciation for my pictures over the years. This post was originally published by the Society for News Design for the Malofiej Infographic World Summit. 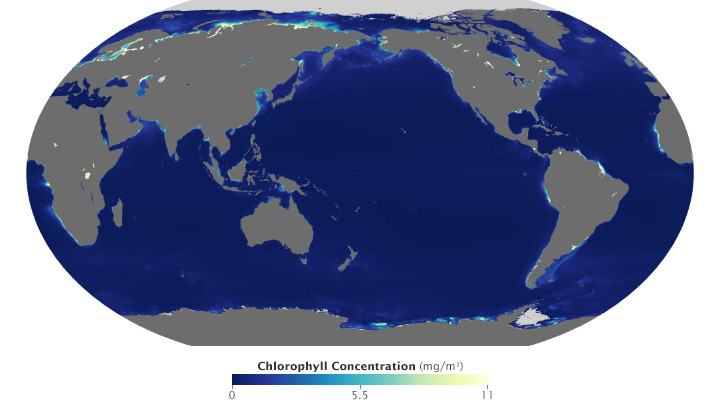 Palettes aren’t the only important decision when visualizing data with color: you also need to consider scaling. Not only is the choice of start and end points (the lowest and highest values) critical, but the way intermediate values are stretched between them. Note: these tips apply to scaling of smoothly varying, continuous palettes. For discrete palettes divided into distinct areas (countries or election districts, for example, technically called a choropleth map), read John Nelson’s authoritative post, Telling the Truth. For most data simple linear scaling is appropriate. Each step in the data is represented by an equal step in the color palette. Choice is limited to the endpoints: the maximum and minimum values to be displayed. It’s important to include as much contrast as possible, while preventing high and low values from saturating (also called clipping). There should be detail in the entire range of data, like a properly exposed photograph. Some visualization applications support logarithmic scaling. If not, you’ll need to apply a little math to the data (for example calculate the square root or base 10 logarithm) before plotting the transformed data. Appropriate decisions while scaling data are a complement to good use of color: they will aid in interpretation and minimize misunderstanding. Choose a minimum and maximum that reveal as much detail as possible, without saturating high or low values. 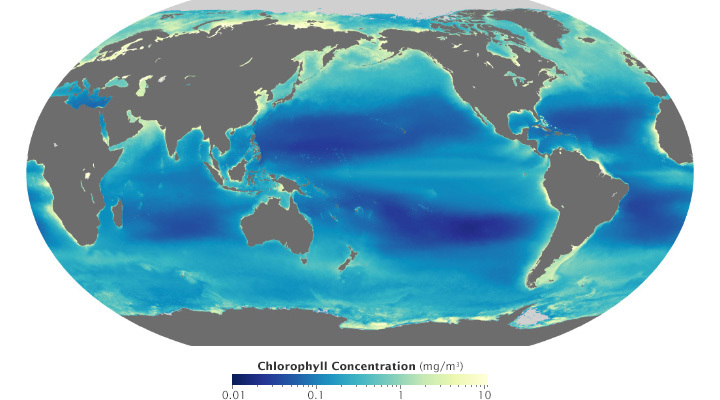 If the data varies over a very wide range, consider a logarithmic scale. 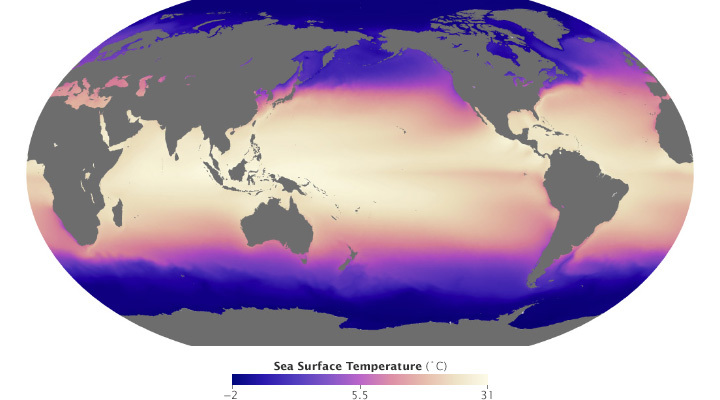 This may help patterns remain visible over the entire range of data. 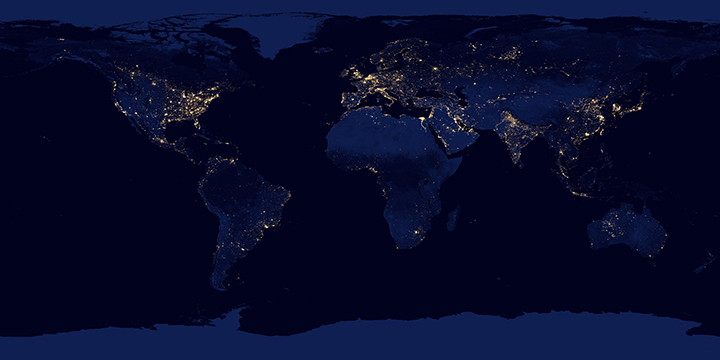 One of the most interesting new capabilities of the NOAA/NASA/DoD Suomi-NPP satellite is the Day-Night Band. These detectors, part of the Visible Infrared Imaging Radiometer Suite (VIIRS), are sensitive enough to image Earth’s surface by starlight. 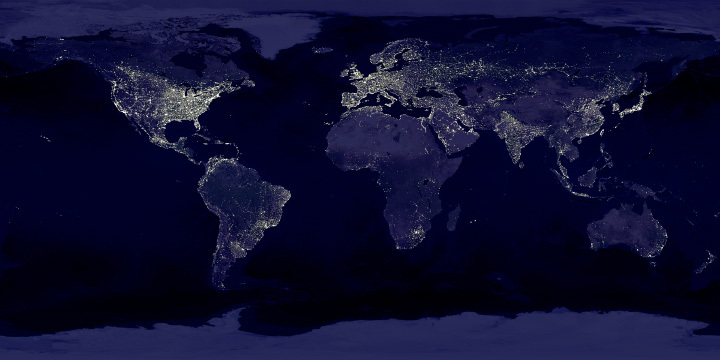 The Day Night Band is both higher resolution and up to 250 times more sensitive than its ancestor, the DMSP Operational Linescan System (OLS). 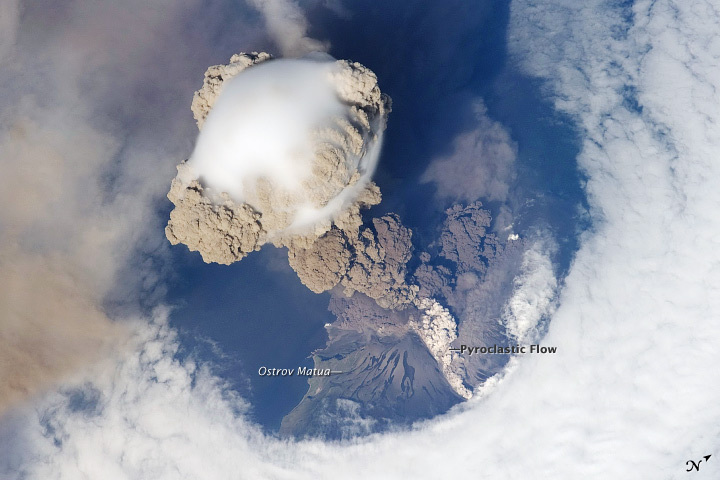 Applications of the Day Night Band include monitoring warm, low-level clouds, urban lights, gas flares, and wildfires. 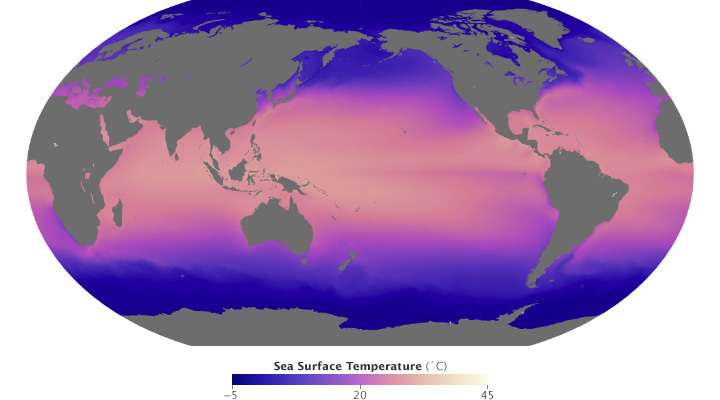 Long-term composites reveal global patterns of infrastructure development and energy use. 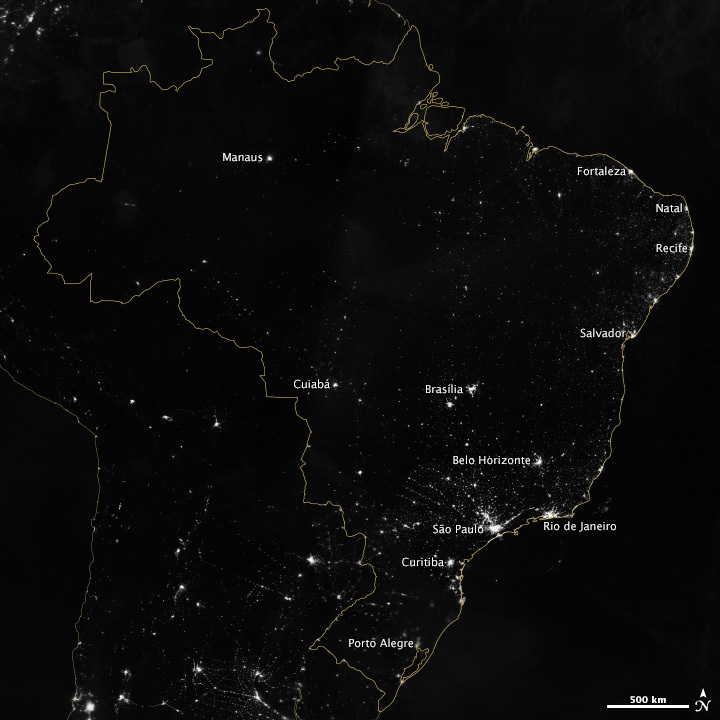 Over shorter times scales (Suomi-NPP completes an orbit every 100 minutes or so) multiple Day Night Band scenes stitched together show a snapshot of the Earth at night, like this view of South America, including the 14 Brazilian World Cup cities. So far so good. Of course the data is in Watts per square meter per steradian, and the useful range is something around 0.0000000005 to 0.0000000500. 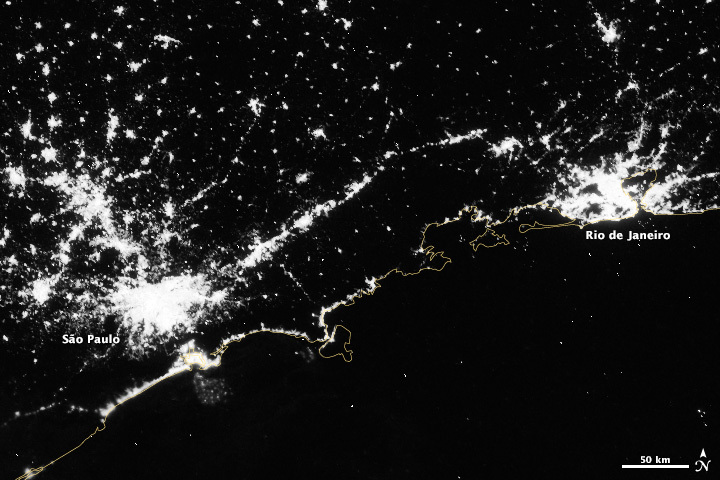 With several orders of magnitude of valid data, any linear scale that maintained detail in cities left dim light sources and the surrounding landscape black. And any scaling that showed faint details left cities completely blown out. It looks a bit complicated, but it’s not too bad. It adds an offset to account for some spurious negative values; multiplies by a large constant to fit the data into the 65,536 values allowed in a 2-byte integer file; calculates the square root to improve contrast, sets any values above 65,535 to 65,535; then converts from floating point to unsigned integer. This data can be saved as a 16-bit TIFF readable by just about any image processing program, while maintaining more flexibility than an 8-bit file would. The final steps were to bring the TIFF into Photoshop, tweak the contrast with levels and curves adjustments to bring out as much detail as possible, add coastlines and labels, and export for the web. 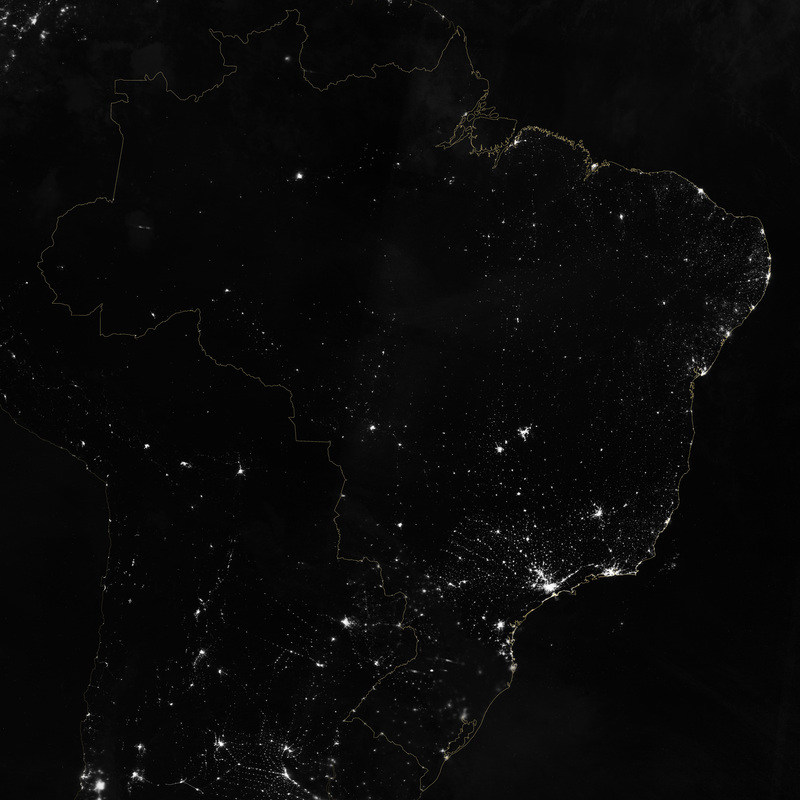 The result: Brazil at Night published by the NASA Earth Observatory on the eve of the World Cup.